Analysts are predicting that there will be no Christmas Blu-ray bonanza this year, and the reason is because of the lack of affordable players hitting the high-street. Analysts at Screen Digest have noted that because of hardware supply constraints earlier in the year, the European BD promotional campaigns had to be reined in. 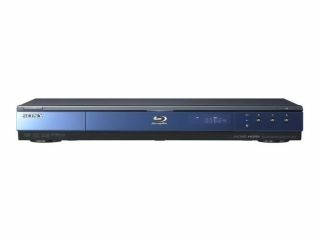 This is backed up by news from Home Cinema Choice magazine that Sony is "hedging its bets" by limiting stock of its flagship BD-PS550 player in UK. Speaking about the Blu-ray problem, Richard Cooper, Screen Digest Analyst said: "A shortage of cheaper Blu-ray players means that the sub-$300 machines that are already appearing on US shelves are unlikely to materialise in Europe this Christmas. "Combined with the recession, this means the format is unlikely to move much beyond the early adopter market this year. He continued: "However, BD hardware prices will start to fall in 2009, and in due course even price-conscious consumers will start upgrading, not least because the format's backwards compatibility means they can continue to make the most their existing library of DVDs."